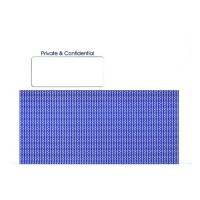 Computer Craft Certificate Covers 290gsm (Pack of 5) Blue 13596 Pack of 1 "Computer Craft certificate covers 290gsm. Linen finish heavyweight 290gsm covers also suitable for 10 x 8 inch photographs. Ideal for certificates, awards and menus. Colour: Blue. (shown in burgundy)." 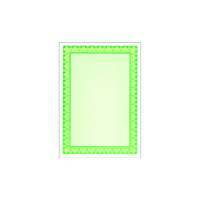 Decadry A4 Shell Emerald Green C Certificate Paper 115gsm (Pack of 25) OSD4054 Pack of 1 "Special watermarked security paper of 115gsm. A4. 25% cotton ensures good ageing. 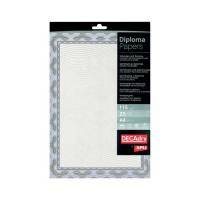 Ideal for certificates, diplomas and awards. Pack of 25 sheets. Shell Emerald Green." 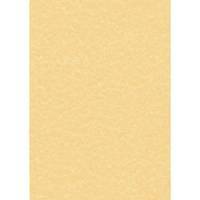 Decadry Parchment A4 Letterhead Paper 95gsm Gold (Pack of 100) PCL1600 Pack of 1 "Decadry Letterhead Paper. Guaranteed for use with laser, inkjet and copiers. 100 sheets of 95gsm paper. Size: A4. Colour - Parchment Gold." 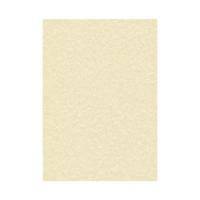 Decadry Parchment A4 Letterhead Paper 95gsm Champagne (Pack of 100) PCL1601 Pack of 1 "Decadry Letterhead Paper. Guaranteed for use with laser, inkjet and copiers. 100 sheets of 95gsm paper. Size: A4. Colour - Parchment Champagne." 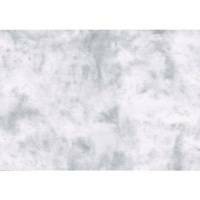 Decadry Marbled Letterhead Paper Grey (Pack of 100) PCL1655 Pack of 1 "Decadry Letterhead Paper. Guaranteed for use with laser, inkjet and copiers. 100 sheets of 95gsm paper. Size: A4. Colour - Marble Grey." Decadry A4 Helicoid Turquoise/Blue B Certificate Paper 115gsm Pk70 DSD1052 Pack of 1 "Decadry Certificate Paper. Special watermarked security paper manufactured with 25% cotton ensuring good ageing, ideal for certificates, diplomas and awards. Suitable for use with laser and inkjet printers and copiers. Design - Helicoid Blue/Turquoise." 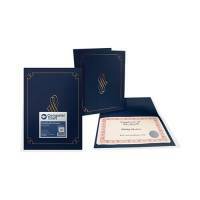 Decadry Border Certificate A4 Paper 115gsm Blue (Pack of 25) OSD4040 Pack of 1 "Decadry certificate paper A4. Watermarked paper made from 25% cotton. Once printed, marked and signed these documents cannot be falsified. 115 gsm. Colour: Spiral Blue." 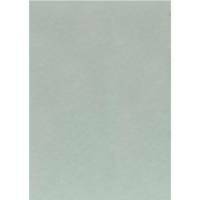 Decadry Parchment Paper Blue (Pack of 100) PCL1686 Pack of 1 "Decadry Paper 95g Pk100 Parchment Blue. 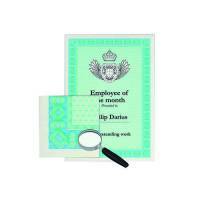 Real structured parchment papers with a professional texture and feel (A, B and C). Ultra smooth marble effect paper (D). Pack of 100 sheets. A4, 95gsm." 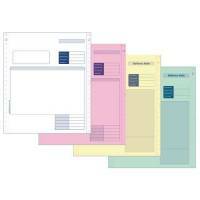 Xerox Premium Digital Carbonless A4 Paper 3-Ply Ream White/Yellow/Pink 003R99108 (Pack of 500) Pack of 1 Premium digital carbonless paper allows you to print your own NCR forms in-house. For use in mono and colour laser printers. 167 sets in 3 part reams. White/yellow/pink. 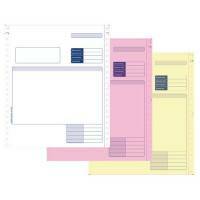 Xerox Premium Digital Carbonless A4 Paper 2-Ply Ream White/Pink 003R99107 (Pack of 500) Pack of 1 Premium digital carbonless paper allows you to print your own NCR forms in-house. For use in mono and colour laser printers. 250 sets in 2 part reams. White/pink. 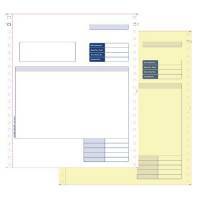 Xerox Premium Digital Carbonless A4 Paper 2-Ply Ream White/Yellow 003R99105 (Pack of 500) Pack of 1 Premium digital carbonless paper allows you to print your own NCR forms in-house. For use in mono and colour laser printers. 250 sets in 2 part reams. White/yellow. 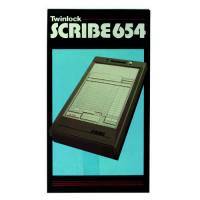 Rexel Scribe Register P654 71000 Pack of 1 Made from ABS plastic with a high quality writing plate for clear copies every time. Attractive design and lightweight for portability. Neat compartment in base for temporary filing of copies. 6.5x4. Rexel Scribe Register P855 71011 Pack of 1 Made from ABS plastic with a high quality writing plate for clear copies every time. Attractive design and lightweight for portability. Neat compartment in base for temporary filing of copies. 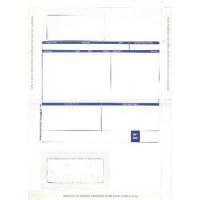 Rexel Scribe 654 Counter Sales Receipt 2 Part Refill Pack of 100 71295 Pack of 1 Carbonless paper. Quality copy provided every time. 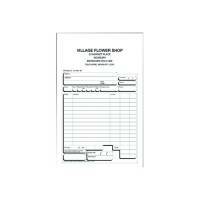 All forms are sequentially numbered - easy to track paperwork. Improves efficiency. Enables you to easily create dual copies for you and your customer. 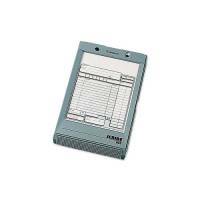 Rexel Scribe 855 Counter Sales Receipt 2 Part Refill Pack of 100 71704 Pack of 1 Carbonless paper. Quality copy provided every time. All forms are sequentially numbered - easy to track paperwork. Improves efficiency. Enables you to easily create dual copies for you and your customer. 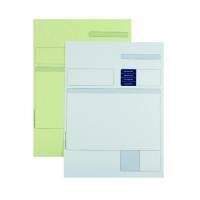 Rexel Scribe 654 Counter Sales Receipt 3 Part Refill Pack of 75 71301 Pack of 1 Carbonless paper. Quality copy provided every time. All forms are sequentially numbered - easy to track paperwork. Improves efficiency. Enables you to easily create dual copies for you and your customer. Rexel Scribe 855 Counter Sales Receipt 3 Part Refill Pack of 75 71707 Pack of 1 Carbonless paper. Quality copy provided every time. All forms are sequentially numbered - easy to track paperwork. Improves efficiency. Enables you to easily create dual copies for you and your customer. 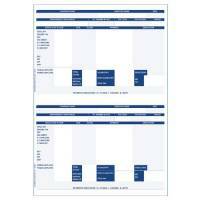 Custom Forms Sage 3 Dot Matrix Part Invoices (Pack of 750) SE03 Pack of 1 "Three Part Continuous Invoice Forms for use with Sage Software. White top copy, pink 2nd copy, yellow 3rd copy. Ref: SE03. For use with Inkjet/Laser printers."